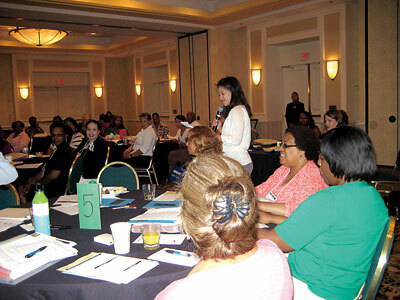 Moneywi$e training in Richmond, VA on July 17th 2012 was a success. Consumer Action and Capital One hosted a free MoneyWi$e community training in Richmond, VA. About 60 nonprofit community organization staffers (including some representing the Asian community) participated in this training. Participants will bring home what they learned from this training, to assist their community in resolving or preventing problems related to the topics discussed at the training. In response to the increasing financial challenges and consumer frauds our communities have encountered following the global financial and economic crisis, Consumer Action re-focused its trainings to provide specific tools and assistance that the community needs, such as taking preventive measures prior to potential financial disasters; taking steps to improve one's financial capacity and building assets; and learning how and where to get help once problems occurred. All of these basic skills and information are what consumers have to learn now. In this training, Consumer Action trainers shared with participants many tips, guidelines and lots of educational materials on personal finance. They also provided resources and held a lively Q&A session. 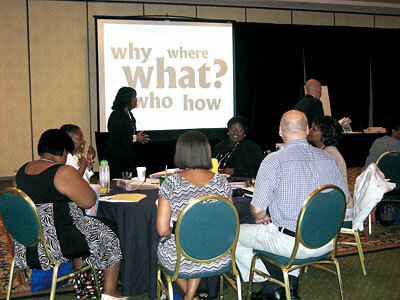 Training participants received 12 MoneyWi$e educational modules addressing many popular topics and community needs. These modules are: Banking Basics, Elder Fraud, Good Credit, ID Theft and Account Fraud, Keys to Homeownership, Micro Business, Personal Bankruptcy, Rebuilding Good Credit, Saving to Build Wealth, Successful Homeownership, Teens and Money and Tracking Your Money. Consumer Action is a nonprofit organization, established in 1971 in San Francisco, California. In addition to its San Francisco headquarters, Consumer Action also has offices in Los Angeles and Washington, DC.